Would be interested to see the Cellar Door/Retail Price range of these Top 10 Wines. Diemersdal, Perdeberg and Rooiberg are all very affordable. I wonder how Kanonkop’s 2013 failed to make the Top 10. Any idea what gives? 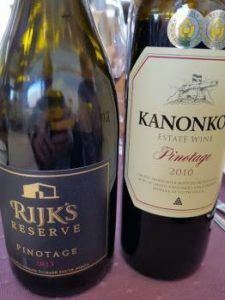 Hi Joe,I understand it is the Pinotage Association’s policy to only reward one wine per producer – which for me is a bit like saying the All Blacks aren’t allowed to play in the next World Cup so as to give everybody else a chance.